Headsets for telemarketers have become increasingly sophisticated over the last couple of decades. 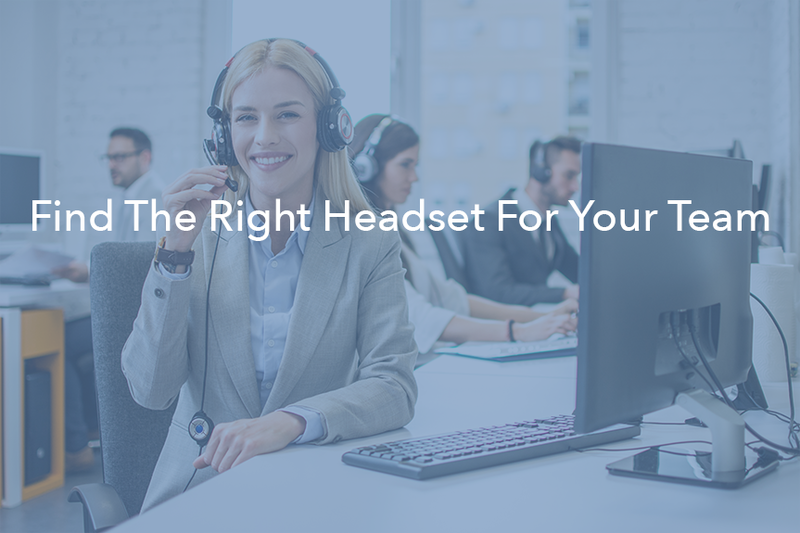 The headset that works for one person, however, may not meet the needs of another telemarketer. That makes it vital for you to explore your options to choose the best model for your employees. Sennheiser has been designing and manufacturing some of the world’s best headphones and microphones since 1945. With so many years of experience, it makes sense that the company has one of the best headsets for telemarketers. The Sennheiser CC 550 IP headset offers remarkably sound and voice clarity, which makes it a good option for customer service employees. The headphones even use accented speaker recognition to help your customer service agents understand callers from all over the world. Noise-canceling microphone technology makes the Sennheiser CC 550 IP useful for busy call centers. You don’t want callers to hear a lot of background noise. With the CC 550 IP, callers will only hear the voices of their customer service reps.
Today’s sales reps can’t spend all day tethered to their desks. They need the ability to talk to managers and take breaks without missing important calls. The Jabra Pro 900 has a wireless connection that lets sales agents wander up to 395 feet from their desks. 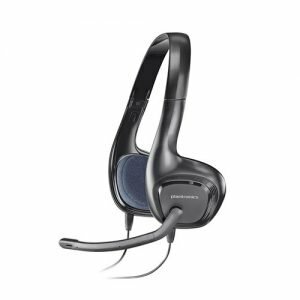 The entry-level headset also gives you noise-cancellation and HD-voice features to improve communications between employees and customers. The Jabra Pro 900 has an 8-hour battery life, so 24-hour call centers will need at least two or three headsets per work station. As long as you plan a charging schedule, though, the battery life shouldn’t cause any problems. The Logitech H650e gives you a lot of features without forcing you to spend a lot of money. 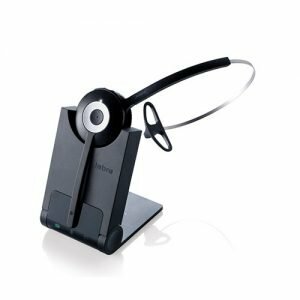 At less than $100, even new companies can afford to invest in these professional headsets. The Logitech H650e works best in busy call centers that can get noisy. The microphone has built-in noise-canceling and echo-canceling features that make your associates’ voices sound clear to customers. The headset also has a long, flat cable that doesn’t get tangled even when employees move around a lot. If you want an inexpensive headset that performs nearly as well as expensive models, you should put the Logitech H650e on your list. Koss designed the CS100 USB for gamers as well as telemarketers. To meet this goal, Koss’s engineers gave the headset a comfortable design that can rotate up to 30 degrees. The option to rotate the headphones will make it easier for your employees to spend the day talking to customers without chaffing or discomfort. 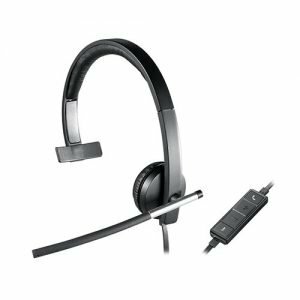 The USB headset plugs directly into a company or sound card, so it’s easy for anyone to set up and operate. Like most professional headsets, the Koss CS100 USB has a noise-canceling microphone that blocks loud noises in the call center and reduces distortion. Plus, the headset only costs $30, so any company can afford to buy them. The Planttronics Blackwire 710/720 stands out as one of the most sophisticated headsets on this list. It connects to devices via Bluetooth and a USB cord. If a phone call comes in on your mobile device while you’re using your computer, the headset will recognize the incoming call and switch to the smartphone or tablet. 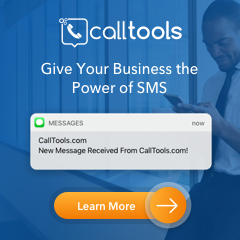 The option to connect to mobile devices also gives employees more freedom instead of forcing them to sit at their desks all day. The Blackwire 710/720 is also the only headset on this list that offers smart sensor technology. Putting on the headset automatically accepts an incoming call. Taking off the headset automatically pauses the conversation. Of course, the Plantronics Blackwire 710/720 also comes with a noise-canceling microphone. Plantronics take the technology a step further with hi-fi stereo speakers and a Dynamic EQ feature that lets users personalize their settings. The headset starts at $130, so it isn’t the cheapest option. But it has the features that professionals need for sales and customer services. For an entry-level headset that only costs $25, look to the Plantronics 628. Despite its low price, it comes with some impressive features, including a noise-canceling microphone with software that removes static and noise from calls. Plantronics designs the Audio 628 with Skype calls in mind. The headset has built-in Skype controls to answer and accept calls without touching a keyboard. The Plantronics Audio 628 also has a convenient, foldable design that saves space and protects the headset. 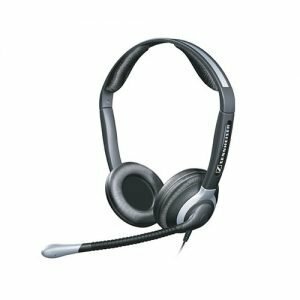 All of the above telemarketing headsets have good reputations for reliability and clear communication. The one that you choose will depend on which features matter most to you. Just make sure it has a noise-canceling microphone and clear speakers. 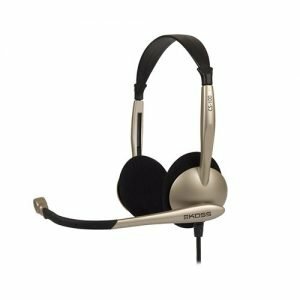 If you want a straightforward, inexpensive headset for customer service needs, then you will probably like the Plantronics Audio 628 or Koss CS100 USB. 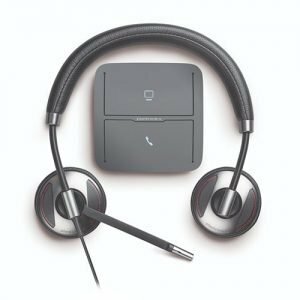 If you need something more sophisticated for sales calls, then you will probably want the Plantronics Blackwire 710/720 or Jabra Pro 930.